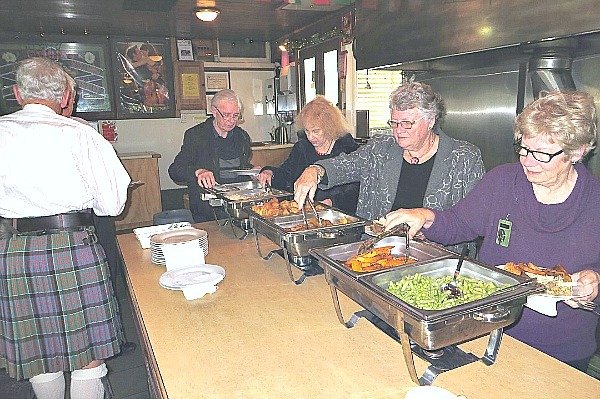 On Saturday the 13th of October, 24 members of Clan Donald Auckland enjoyed a great luncheon of a roast, cooked in a wood-burning oven at Ryders in Avondale, followed by the movie “Whisky Galore”. This was a 2016 remake of the movie. The tiny island of Todday runs out of whisky during World War II. The grounding of the freighter SS Cabinet Minister with 50,000 cases of whisky saves the day. From the left. 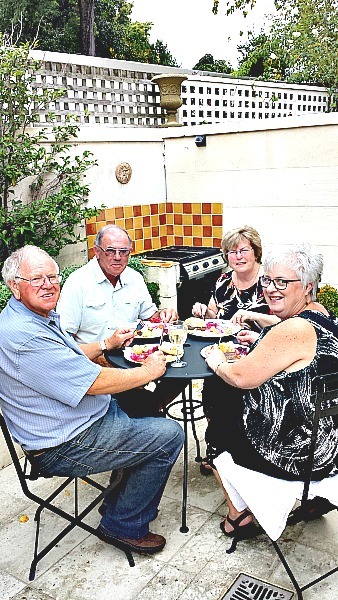 Laurie and Marlene Mathews, Margaret and Geoff Parry and Lynnette McDonald enjoy a pre-luncheon drink and chat. 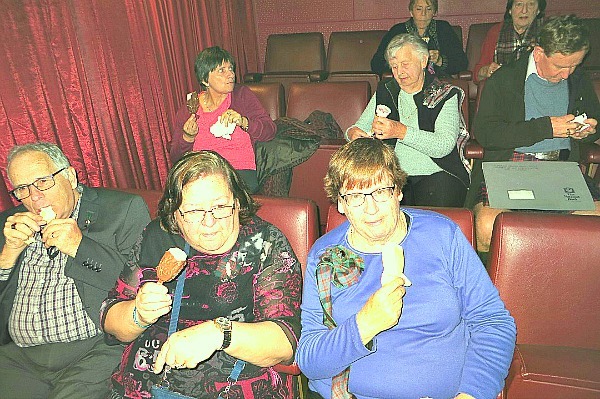 Members enjoy an ice cream ahead of the movie. Each year Clan Donald Canterbury go on an away weekend. These weekends are a lot of fun and provide a great opportunity to get to know other members and build strong friendships. This helps in keeping the society strong. In previous years we have visited Blenheim, Hanmer Springs, Ashburton, Dunedin, Geraldine, Rangiora and Oamaru. 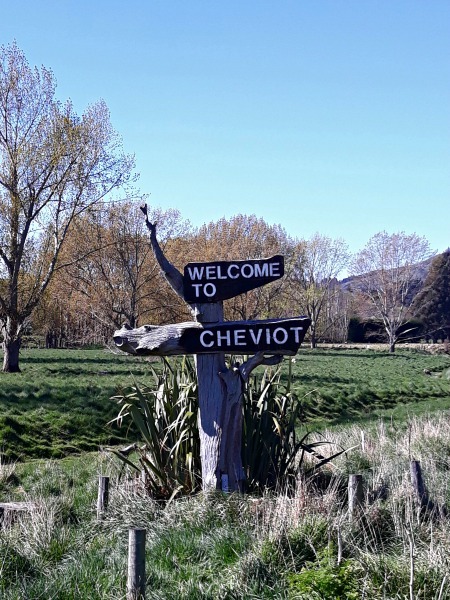 This year 14 members went to the small North Canterbury country township of Cheviot which is just over 110 kms north of Christchurch. We stayed two nights at the Cheviot Motel and Holiday Park which is located on the edge of the town set in peaceful countryside. The site is 5 acres containing beautifully landscaped grounds and garden. Neighbouring paddocks contained sheep and lambs. 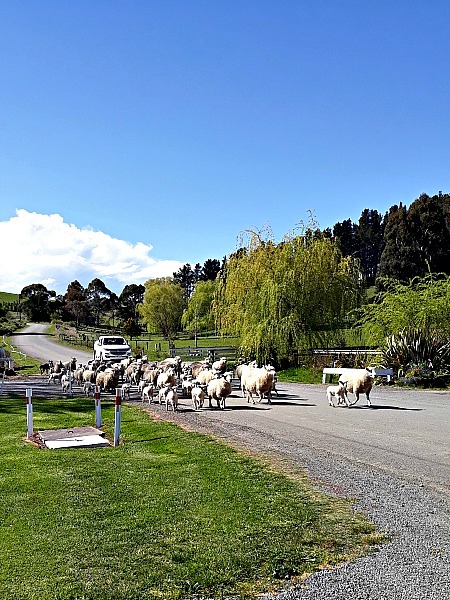 You know you are in the country when a local farmer drives a small mob of ewes and lambs right past the motel. 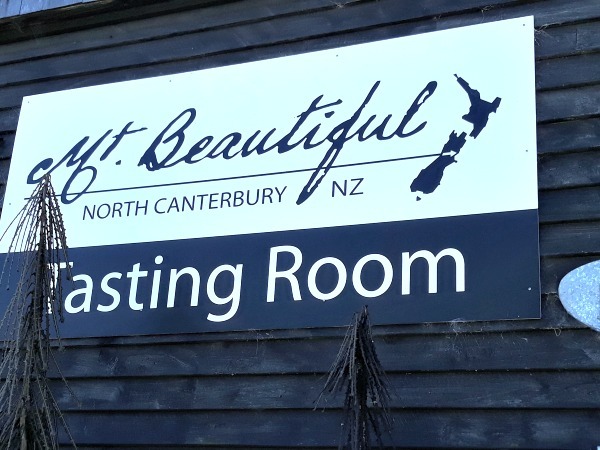 First event arranged by our Secretary, Margaret Donald was Mt Beautiful wine tasting which was held at The Twin River Café in Cheviot. Pictured at the Wine Tasting (Left to right) Irvine Kinraid, Ann Smith, Margaret Donald, Heather Bastida, Sally Wihone. Back row, Alison Kinraid, Alan MacDonald, Helen Ring, Christine and Elwyn Martin. Saturday the 29th September was a gorgeous spring day which was spent in Kaikoura. It was interesting to see the work completed (and still underway) on SH1 and the main rail line required as a result of the November 2016 earthquake. We had lunch in Kaikoura and visited various areas around town. 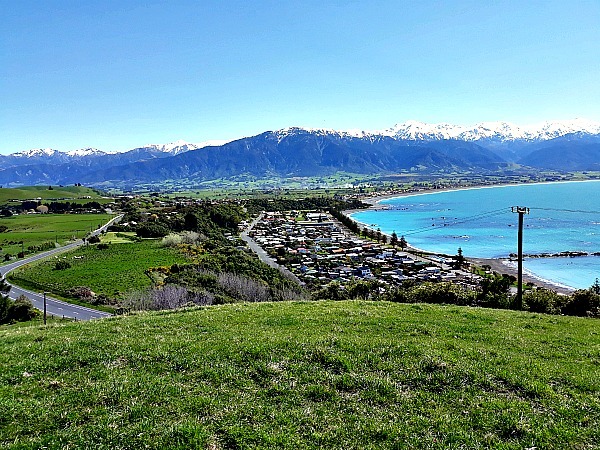 View overlooking Kaikoura town with the Seaward Kaikoura Range in the background. Saturday night dinner at the Cheviot Hotel. Pictured left to right. Alison Kinraid, Irvine Kinraid, Heather Bastida, Sally Wihone, Valerie Bright, Ian Bright, Helen Ring and Ann Smith. 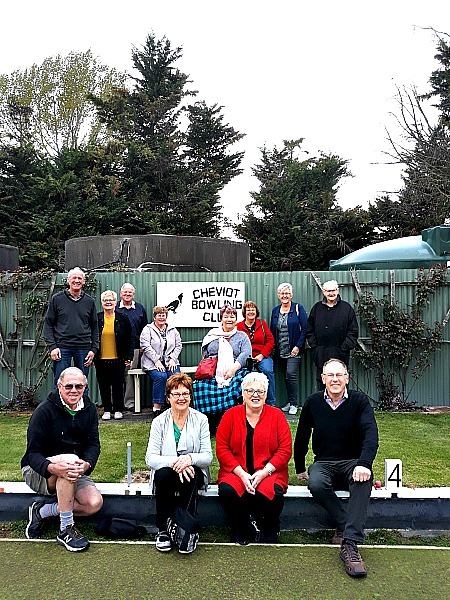 On Sunday morning we played bowls at the Cheviot Bowling Club before returning to Christchurch. 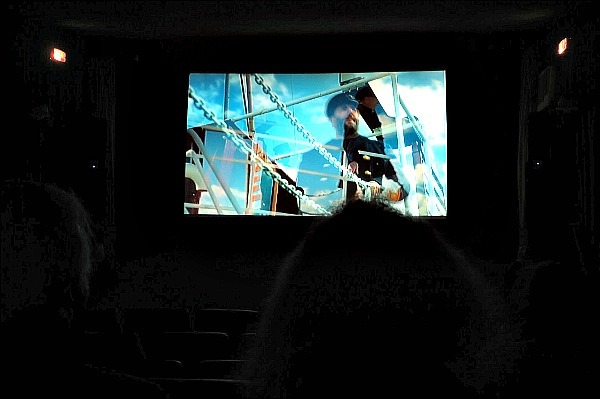 Back row (left to right). Andrew Muskee, Margaret Donald, Ian Bright, Christine Martin, Sally Wihone, Raewyn Hinton, Valerie Bright, Irvine Kinraid. 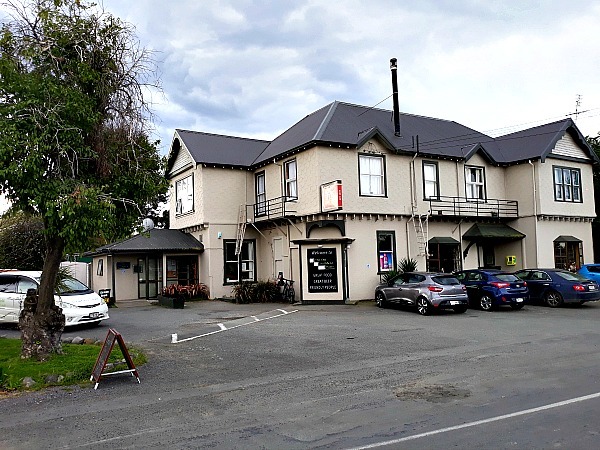 On the way back to Christchurch we stopped for lunch at the historic Leithfield Hotel where we were joined by Clan Donald Canterbury members, Cath and Bob Lyall. After lunch and watching the All Blacks play Argentina on the large tv screen in the bar, we said our goodbyes and headed our separate ways home. We all agreed it had been another enjoyable weekend away and our thanks go to Margaret Donald for her work in arranging the accommodation and events. 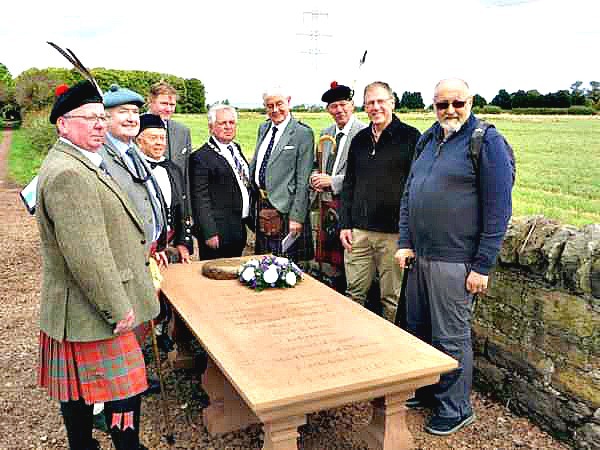 In September I attended the Dedication of the Memorial Tables for Clans and British Regiments who fought in the Battle of Prestonpans. 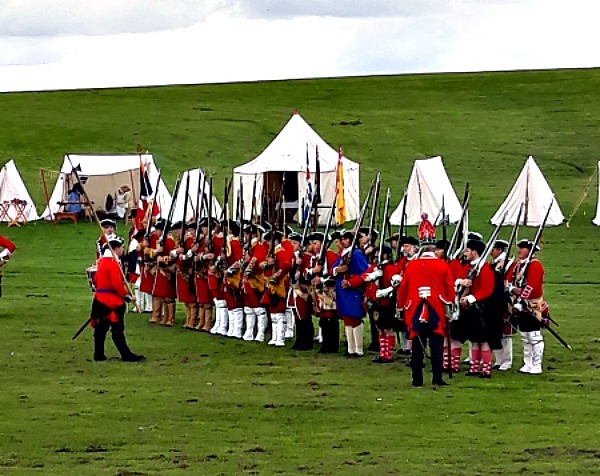 My father, Colin MacDonald, who is a member of the Committee of High Patronage of The Battle of Prestonpans (1745) Heritage Trust, received an invitation to attend the ceremony as representor of the Glencoe MacDonalds. Unfortunately, it was not possible for him to do so and I attended on his behalf. 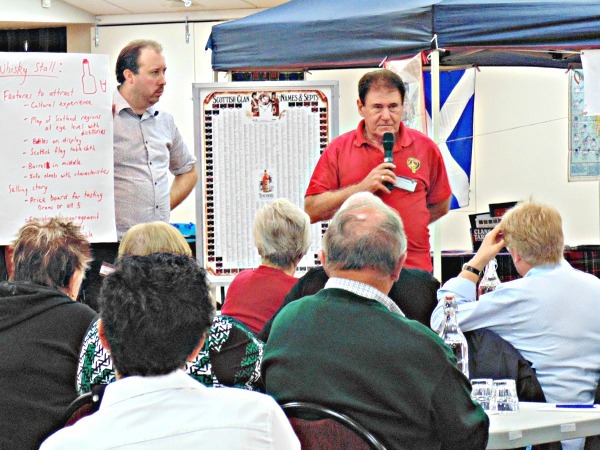 Clan Donald Canterbury member, Brent Tomlinson was also on holiday in the UK at this time and was able to attend. 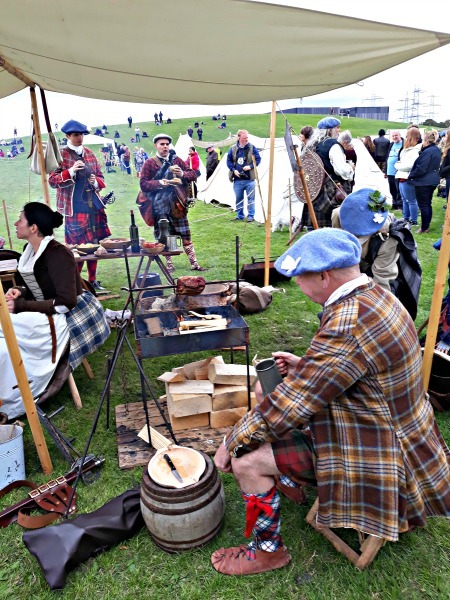 The Battle of Prestonpans was the first significant conflict in the Jacobite Rising of 1745. 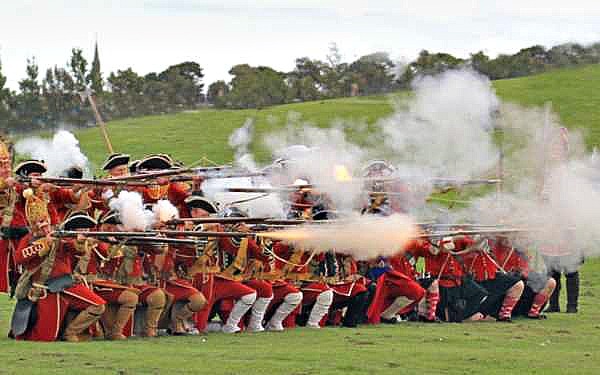 The Battle took place early morning on 21st September 1745. The Jacobite army led by Charles Edward Stuart achieved a stunning victory over the government army led by Sir John Cope. 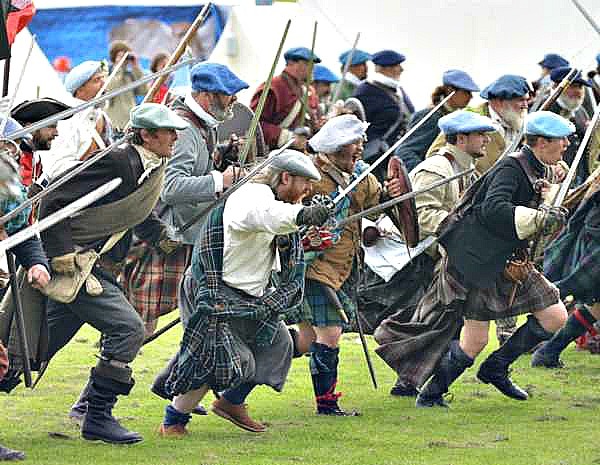 The government force was between 2,200 to 2,800 strong while the Jacobite army numbered between 2000 and 2,500. The inexperienced government troops were outflanked and broke in the face of a highland charge. The battle was over in less than 15 minutes. The victory was a huge morale boost for the Jacobites. Hundreds of government troops were killed or wounded and 1500 taken prisoner. Only 170 escaped. The Jacobite Army suffered fewer than 100 troops killed or wounded. 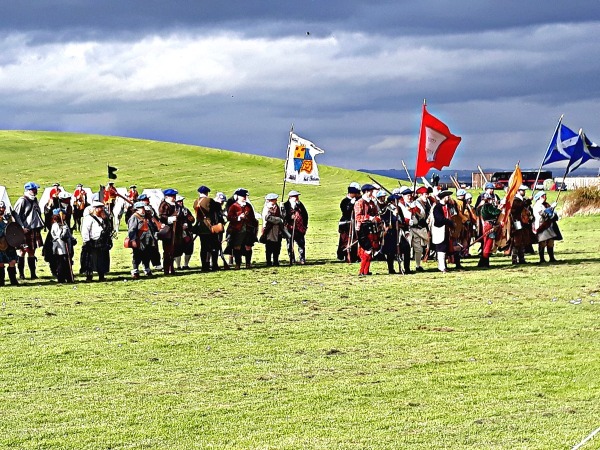 The MacDonald Clans played a major role in this battle, making up nearly half the Jacobite force. 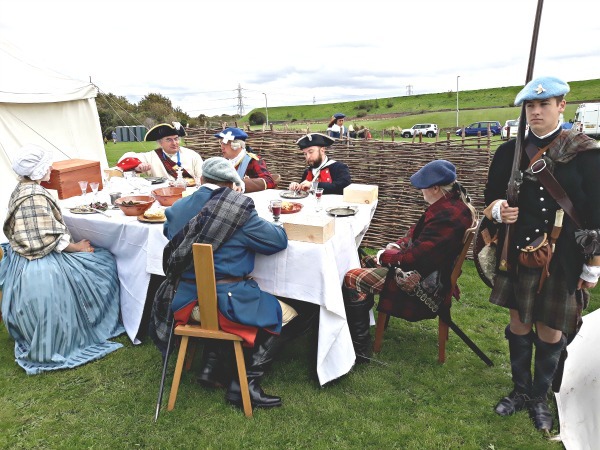 The Battle of Prestonpans (1745) Heritage Trust was established in 2006 to ensure a much better presentation and opportunity for visitors to gain a comprehensive understanding of the battle. The Trust has campaigned since 2006 for a proper memorial which lists the Clans and Regiments that were involved. They recently received a grant to create two Memorial Tables, one for each side in the combat. 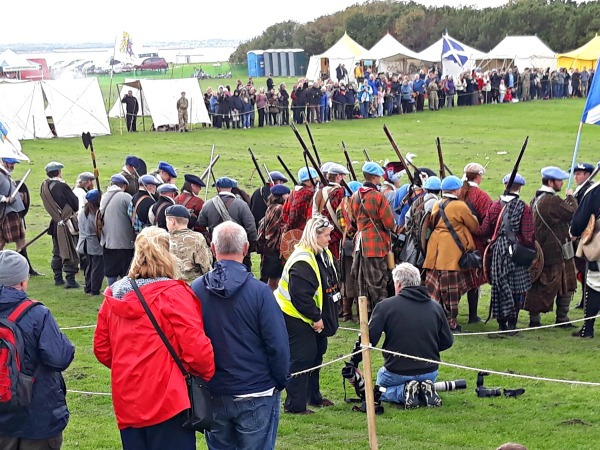 Last year The Battle of Prestonpans (1745) Heritage Trust put out the Call to all those Clans which fought with the Prince at Prestonpans and to the “Successor” Regiments of those engaged there in support of the government in 1745 serving the British Army today to share in the Dedication. The Dedication was held on 15th September 2018. The events included a Grand Parade, the commemoration ceremony, living history camps, military displays and a spectacular battle re-enactment. The Memorial Tables are located on the old wagonway which ran across the battlefield. The Tables are very impressive and provide a fitting memorial to those involved in the battle. I was also impressed by the quality of the re-enactors who strive to be as accurate and authentic in appearance as possible. This includes those not directly involved in the battle re-enactment but who were present in a support role. The strict adherence to the period with the provision of props such as tents, furniture, cooking facilities etc added to the level of realism achieved. 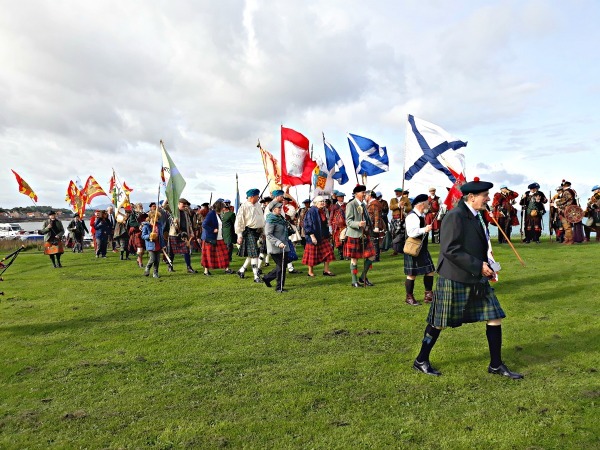 The Grand Parade passed through the town of Prestonpans to the Sports Centre where the re-enactment events were held. 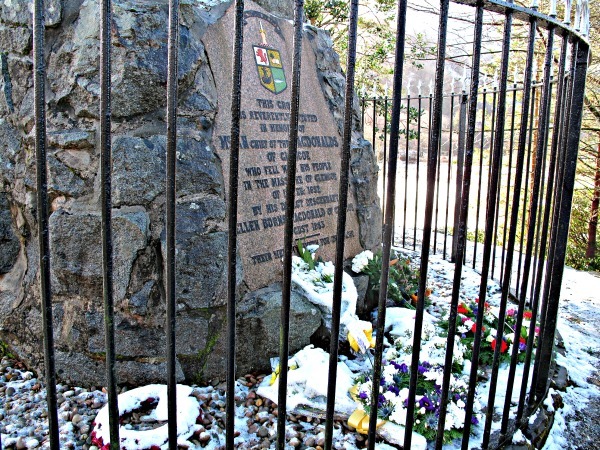 The Memorial Table to the Clans who took part in the battle. Alan MacDonald and Brent Tomlinson on the far right. Alan MacDonald pictured with Bonnie Prince Charlie. Clan Donald Canterbury member, Brent Tomlinson with one of the re-enactors. Re-enactors prepare their meal before the battle re-enactment later in the day. Bonnie Prince Charlie’s War Council. Bonnie Prince Charlie plans for the battle over lunch. The government forces prepare for battle. The government forces fire a fusillade from their muskets. The Clans prepare to charge. 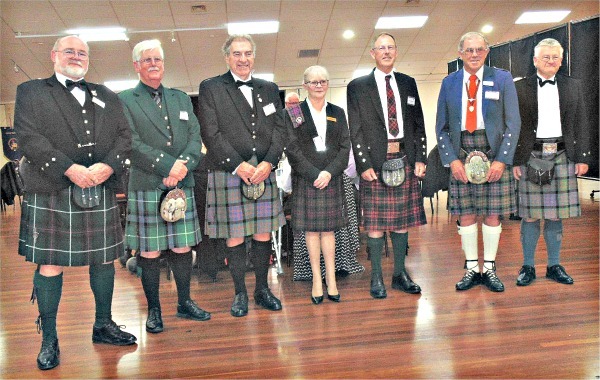 Clan Donald Hawkes Bay held its annual Scottish dinner on 7 July 2018 at the Community Centre in Havelock North. 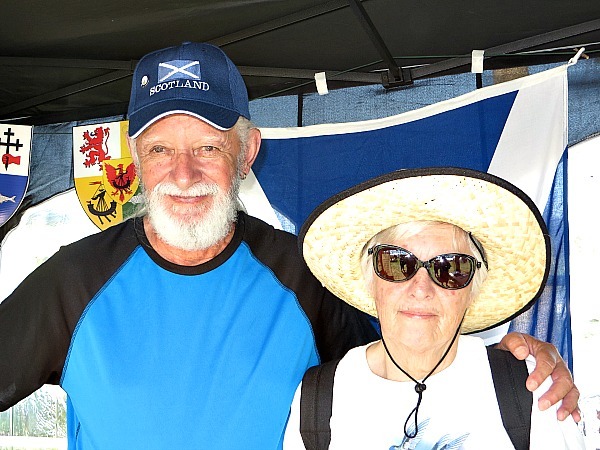 The event was attended by 34 people including local Clan Donald members, members of the Auckland, Wellington and Canterbury Societies, and others who enjoyed the Scottish atmosphere and entertainment. 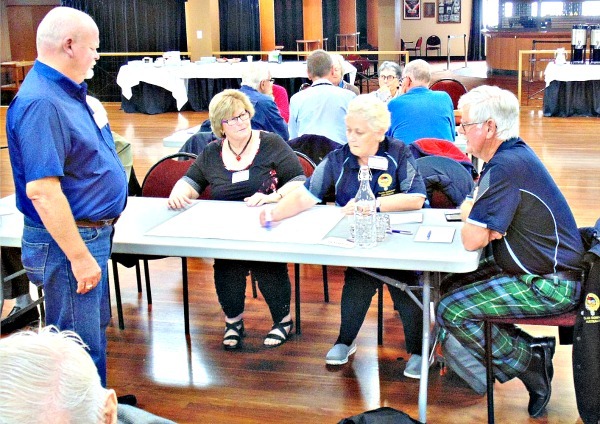 From Auckland, President Barrie Paterson, North Island Commissioner Tom and Lynnette McDonald, and Murdock McDonald attended, as did Past Auckland President (now resident in Hawkes Bay) Bruce McGechan. From Christchurch, High Commissioner Alan MacDonald and National President Christine Martin and South Island Commissioner Elwyn Martin made the journey north. From Wellington we had President David Moore and John and Trish McKechnie. From the left. Wellington President David Moore, North Island Commissioner Tom McDonald, Auckland President Barrie Paterson, High Commissioner Alan MacDonald, South Island Commissioner Elwyn Martin and New Zealand President Christine Martin. 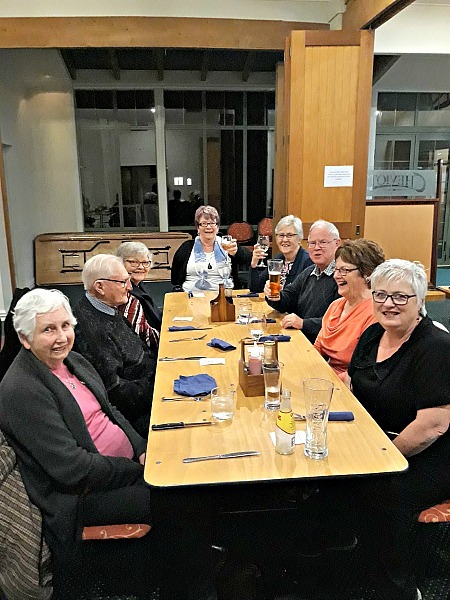 The evening commenced with a cleansing draft for all guests of Athol Brose, which had been specially prepared by Hawkes Bay President David McDonald according to an ancient Scottish recipe. We then moved on to a traditional Haggis ceremony, with the Haggis being addressed by David McDonald. From the left. Guard David Daysh, Bard David McDonald, Haggis Bearer Alan MacDonald, Guard Tom McDonald and Whisky Bearer David Moore. Clan Donald Hawkes Bay’s Piper Maurice Chisnall, piped the Haggis and later in the evening played an extended bracket of pipe music, much to the delight of those present. 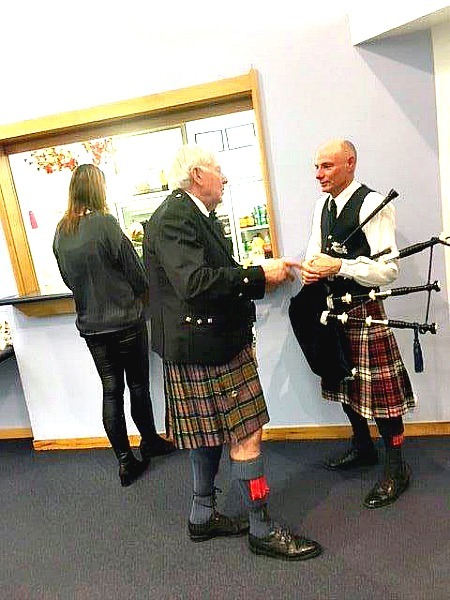 Maurice is also the Pipe Major of the City of Hastings Pipe Band, and the Clan Donald Hawkes Bay counts itself very lucky that he makes himself available for occasions such as this. His piping was certainly the high point of the evening. Clan Piper Maurice Chisnall playing a set of pipe tunes. 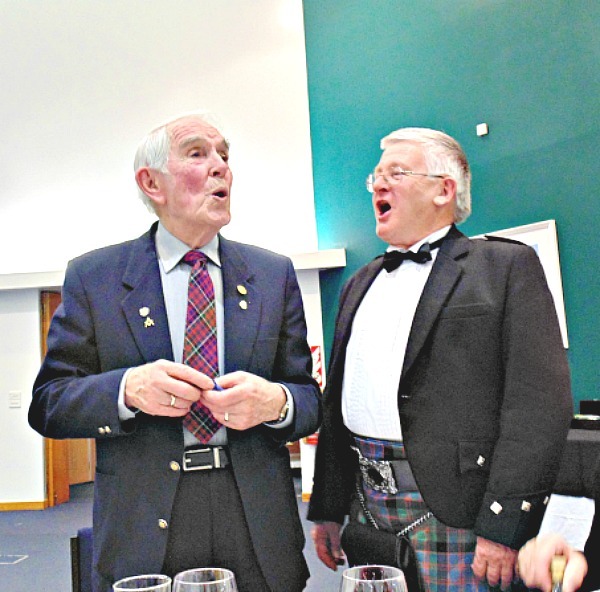 Bruce McGechan having a chat with Maurice Chisnall about pipe music and pipe bands. From the left John McKechnie, Alan MacDonald, Murdock McDonald, Trish McKechnie and David Moore having a good discussion over dinner. Wellington President David Moore, High Commissioner Alan MacDonald and Hawkes Bay President David McDonald at the meeting after the dinner. 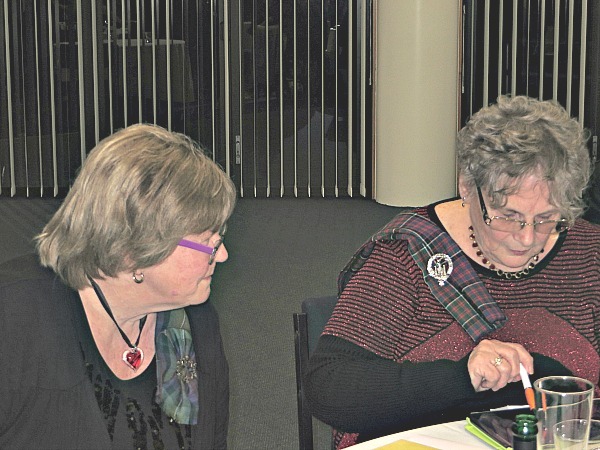 New Zealand President Christine Martin and Secretary/Treasurer Trish McKechnie discussing a point during the meeting after the dinner. 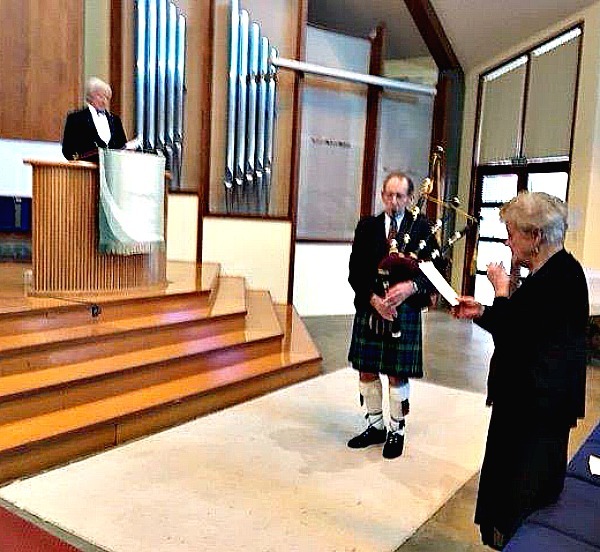 On the following morning, Sunday 8th July 2018, a Kirking of the Tartan service was held as part of the regular Sunday morning service at St Columba’s Presbyterian Church in Havelock North, which was attended by Elwyn and Christine Martin, Tom and Lynnette McDonald, John and Trish McKechnie, David and Jill McDonald and David Moore, with an informal lunch to follow at the local pub. As always, the congregation and the Minister at St Columba’s were very welcoming to the Clan Donald contingent and fully participated in the Kirking of the Tartan, with Clan tartans being brought to the front of the church and laid on the Communion Table. The Minister, interim Moderator Craig Kilgour wore his kilt for the occasion, and adapted the service to fit in with the theme. As part of the service “Flower of Scotland” was sung by the congregation, accompanied on the pipes by Piper Graeme Buchanan. After the service the leftover Haggis was served up to all present, and was much appreciated. 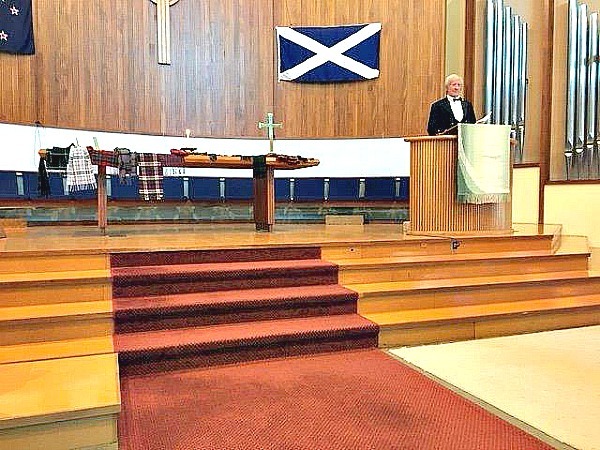 Minister Craig Kilgour in the pulpit at the Kirking of the Tartan, and showing the Communion Table with Clan Tartans placed on it. 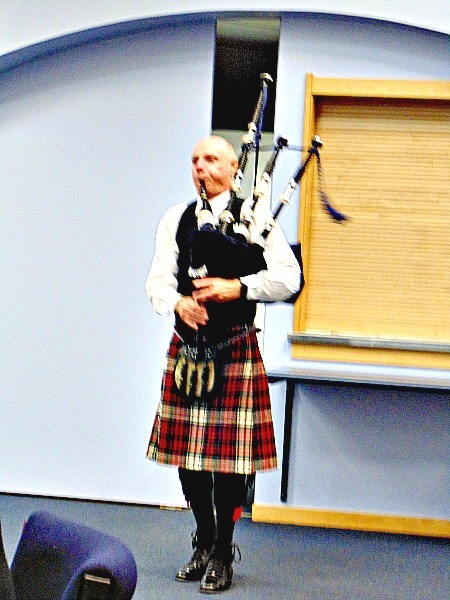 Piper Graeme Buchnan playing at the Kirking of the Tartan. Minister Craig Kilgour in the pulpit. 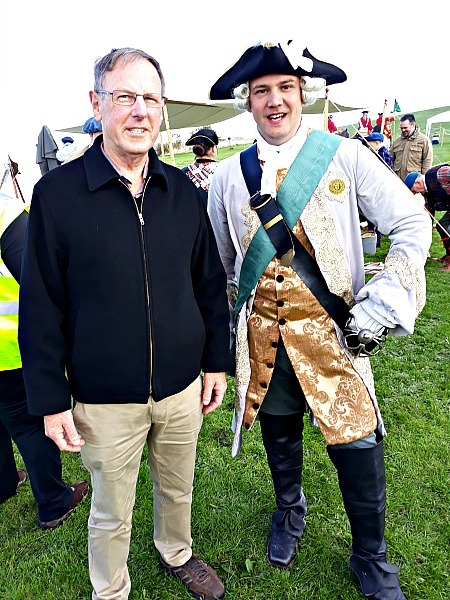 All in all, it was a very successful weekend, and Clan Donald Hawkes Bay thanks all those who took the time to visit Hawkes Bay to participate. It would certainly not have been the same without you. 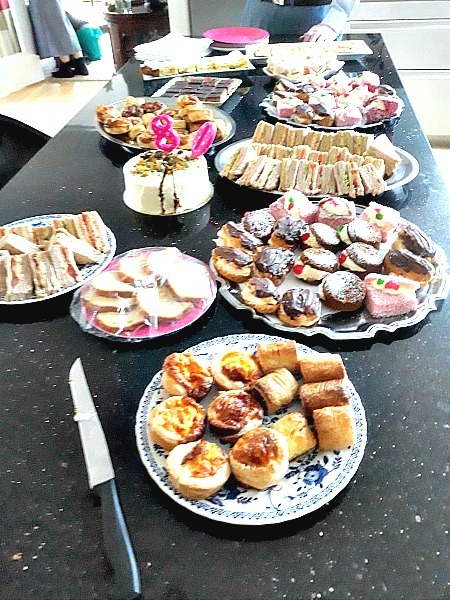 Members of Clan Donald Canterbury were invited by long standing members, Cath and Bob Lyall, to their home for a special afternoon tea on Sunday 17th June to celebrate Cath’s birthday. About 20 members attended and were treated to the customary Lyall hospitality. It was great to gather together in Cath and Bob’s lovely home, catch up over a cup of tea and enjoy the wonderful afternoon tea provided. 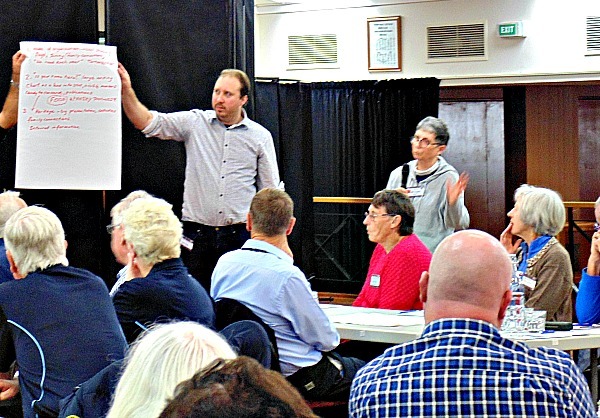 The third Forum, after Auckland in 2013 and Victoria in 2016, was held on the 22nd to the 25th of March 2018 at the Hornby Club in Christchurch, New Zealand. 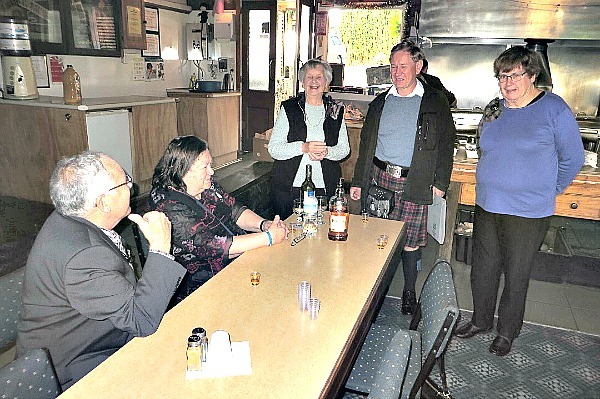 Around 40 members of Clan Donald from Australia and New Zealand, gathered in the afternoon of Wednesday the 21st at the Denton Motel, where most were staying, for pre-dinner drinks. 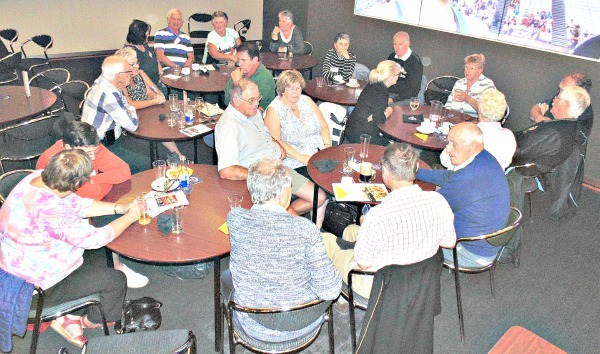 This gave the New Zealanders the opportunity to meet and chat with the Australian members from Western Australian, Queensland, New South Wales and Victoria. Then it was off to the Hornby Club for dinner. 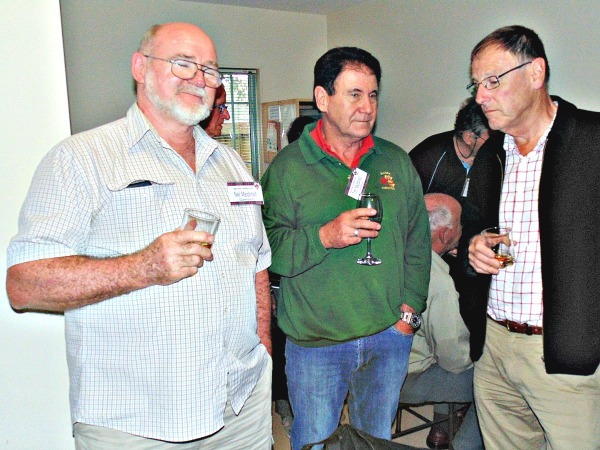 Neil Macdonald, Commissioner Clan Donald Queensland, Tom Macdonald from Victoria, and Alan MacDonald, New Zealand High Commissioner. 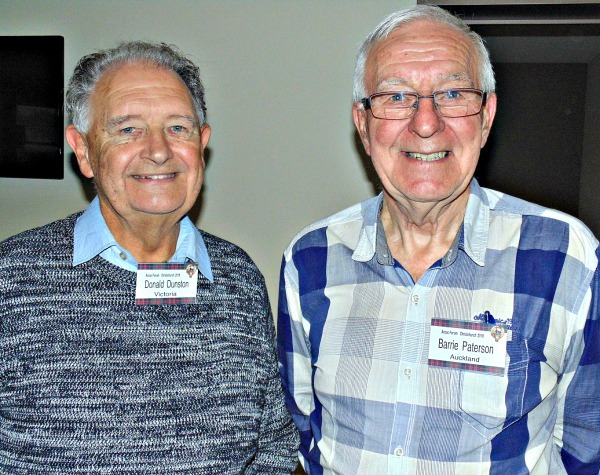 Donald Dunston from Victoria and Barrie Paterson President of Clan Donald Auckland. Carol Wilson from Western Australia and Lynnette McDonald Vice President of Clan Donald Auckland. Australian and New Zealand members at dinner in the Hornby Club. On Saturday, following registration at 9.30 am and morning tea, the real business of the Forum got underway. At 10.30 am the welcome address was given by Alan MacDonald, the New Zealand High Commissioner. Greetings were also given by Lachlan MacDonald, the High Commissioner for Australia. 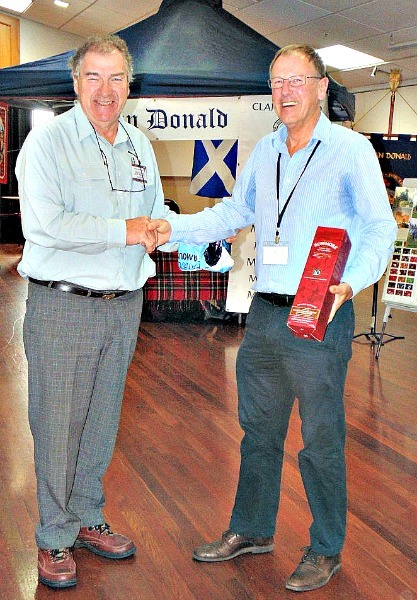 Lachlan MacDonald presenting a fine bottle of 10 year Bowmore Whisky to Alan MacDonald. 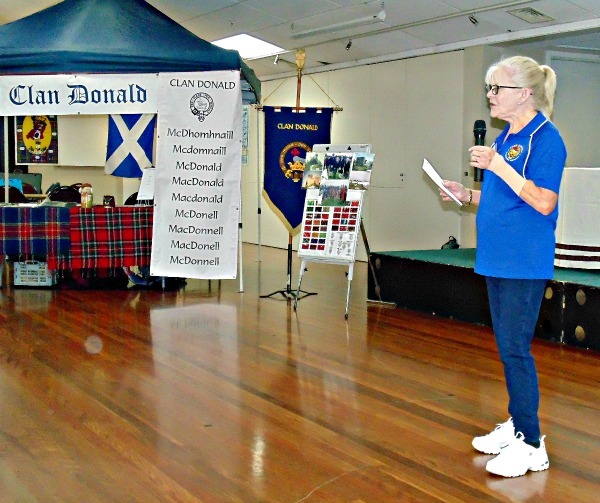 The three Commissioners from Australia, Neil MacDonald from Queensland, Pam McDonald from Western Australia, and Norman MacDonald from Victoria gave an update on Clan Donald in their states. 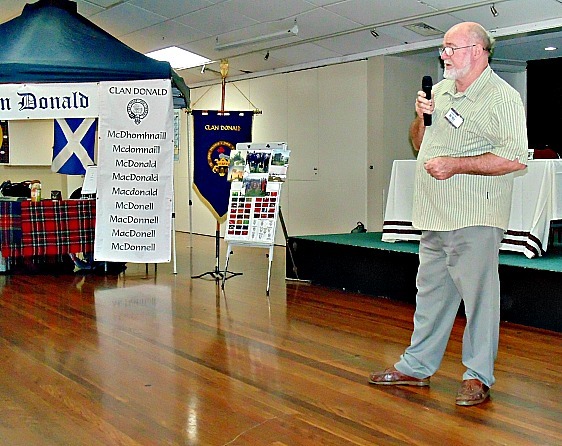 Neil Macdonald, Queensland Commissioner giving an update on Clan Donald in Queensland. 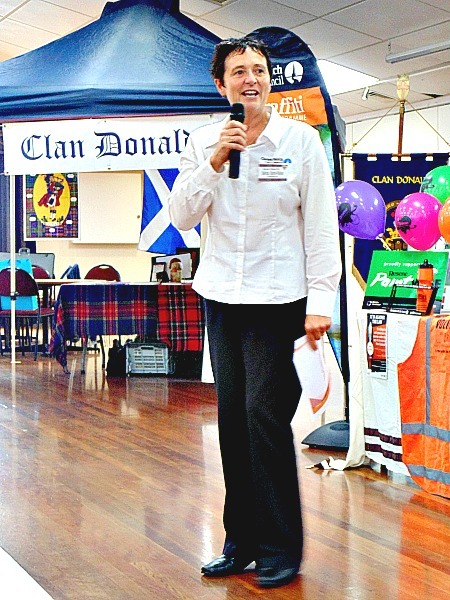 Commissioner Pam McDonald giving an update on Clan Donald in Western Australia. 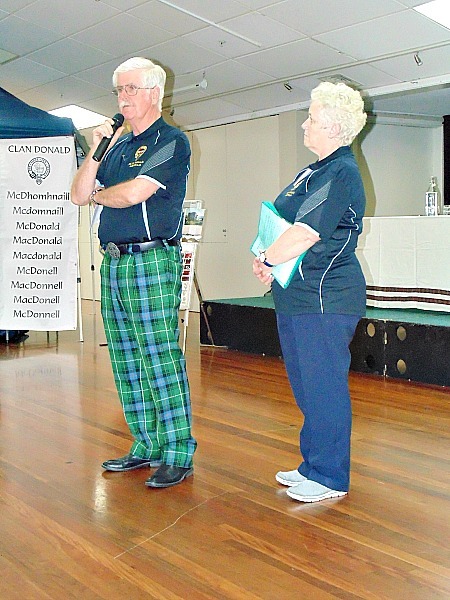 Commissioner Norman Macdonald and Jan giving an update on Clan Donald Victoria and Clan MacDonald Yarraville. There were two major addresses, and workshops at the Forum. The first was on recruitment. A major problem, with all the Clan Donald societies, is the recruitment of new members. There were two very experienced people who did this presentation. Liz Mills and Dan Richards. Liz is the Customer Experience Manager at Ballantynes Store, Christchurch’s leading store. She has a lot of experience in retail training and development. Dan also has a lot of experience in retail merchandising. He worked in retail not only in New Zealand but also in the USA, Australia and the UK. Dan started the address by focusing on presentation, particularly with the stall at Highland Games. Liz’s address stated that you can have the best-looking stall, but unless you have the ability to engage with people it is all for nothing. She then advised on how to approach potential new members, how to introduce yourself and how to encourage questions and ideas. The members were then divided into workshop groups to prepare proposals based on the presentations and also their own experience. The groups then presented their proposals to the Forum. One of the workshop groups. Jim MacDonald, Christine Martin and Jan and Norman Macdonald, working on their proposal. Dan Richards assists Judith English from NSW present her group’s proposal. Tom Macdonald from Victoria presents his group’s proposal with help from Dan Richards. John McKechnie from Wellington presenting his group’s proposal. The second address was on retention, and this was presented by Belinda Barrett-Walker. She is the Volunteer Coordinator for the Christchurch City Council, and is an expert at looking after volunteers and has a wealth of knowledge covering such areas as, strategies for keeping members, what you can offer, meeting their needs and how you show appreciation. Belinda explaining the areas, that Clan Donald societies can use to keep members. Following lunch the workshop groups were re-convened to discuss retention programmes. 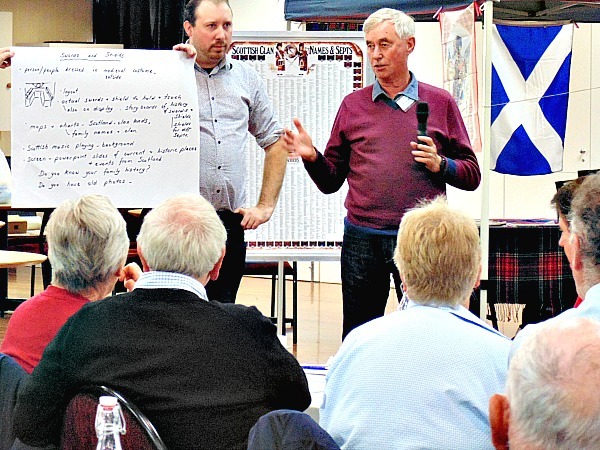 At 3 pm Alan MacDonald addressed the Forum, seeking feedback on the day. 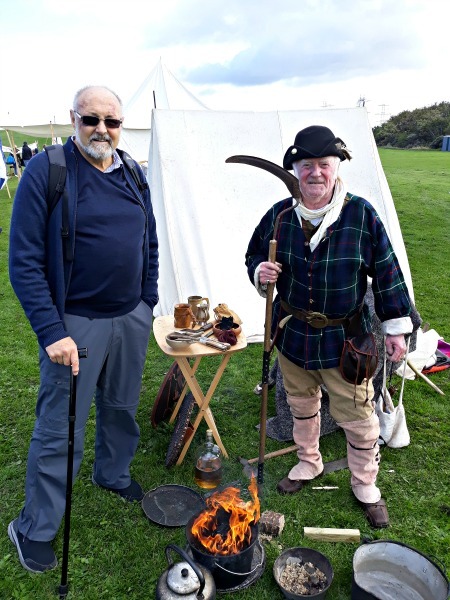 The general opinion was that it had been a great day for gaining new ideas for recruiting new members, and how to look after all members and keep them interested in Clan Donald. Alan MacDonald seeking feedback on the day. The Saturday evening dinner was a formal affair. The meal was in a buffet style. The Commissioners at the dinner. From the left, Neil Macdonald from Queensland, Norman Macdonald from Victoria, Lachlan MacDonald Australian High Commissioner, Pam McDonald from Western Australia, Alan MacDonald New Zealand High Commissioner, Elwyn Martin from the South Island and Tom McDonald from the North Island of New Zealand. 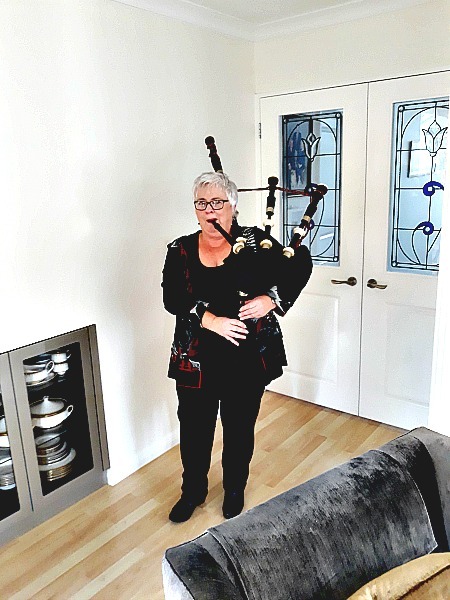 Ann Smith was the Piper for the Haggis ceremony and the Haggis party comprised commissioners from both sides of the Tasman. The Haggis Ceremony. 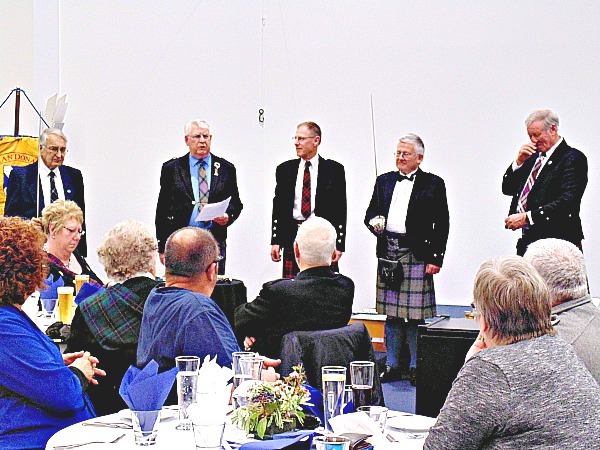 From the left: Ann Smith, Piper; Norman Macdonald, Guard; Tom McDonald, giving the Burns Ode to the Haggis; Lachlan MacDonald, Haggis Bearer; and Alan MacDonald, Whisky Bearer. Forum members enjoying the formal dinner. 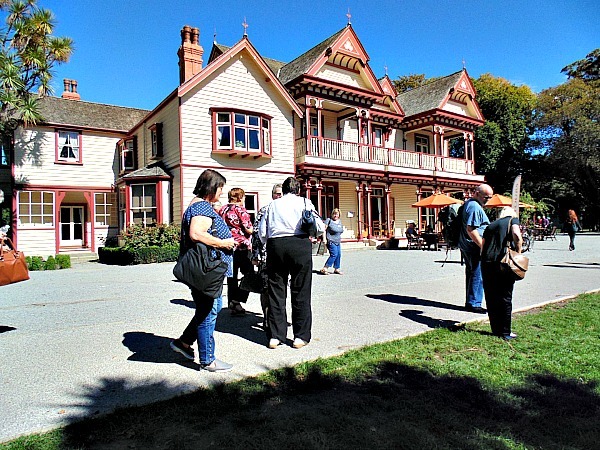 During the four days of the Forum members were also given the opportunity to do some sight seeing around Christchurch. This included seeing some of the reconstructed buildings after the earthquake. A visit to the Airforce Museum at Wigram. To Lyttleton for a trip on the harbour to see the Hectors Dolphins at Godley Head. 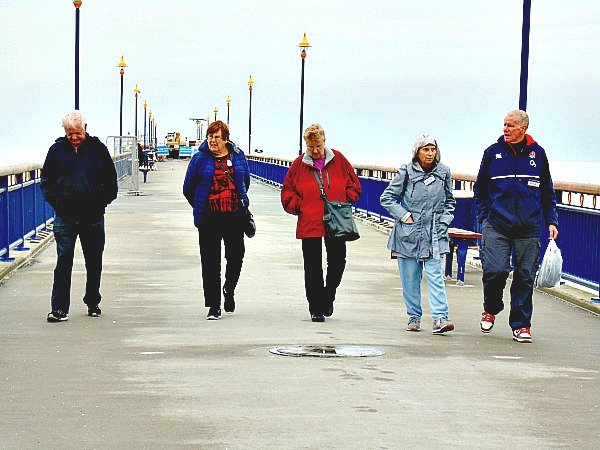 Out to New Brighton to walk the Brighton Pier and dinner at the New Brighton Club. Clan Donald members at the Wigram Airforce Base. Walking the Brighton Pier before dinner at the New Brighton Club. On the final day Sunday, after brunch at McDonald’s in Hornby, there was a tour of Riccarton House. This was the third home of the pioneering family from Scotland, the Deans. The house has been repaired and restored after the earthquakes. Clan Donald Canterbury held their quarterly meeting on Sunday 6th May. Meetings are always in February, May, August and November and are held in the Forfar Courts Community Hall, 95 Forfar Street, St Albans. We met at 12.00 pm for a fish and chip lunch prior to the meeting. This provides a popular, and easy, way to enjoy a catch up over lunch. The meeting started at 1.00 pm. 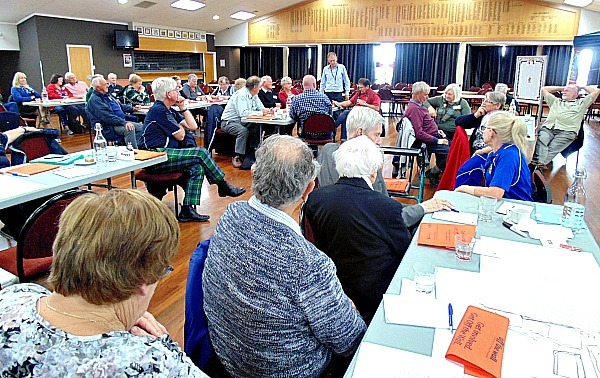 Ann Smith thanked the Canterbury members for all their support for the recent Clan Donald ANZAC forum held in Christchurch. She appreciated their attendance at the various events and their contributions to the fundraising raffles run by the organising committee. Ann advised that the forum itself had been extremely beneficial and our committee had taken on board many of the learnings. They are currently reviewing the setup of the clan stall and how we promote ourselves to prospective new members. Canterbury has always maintained an active, and varied, calendar of events. 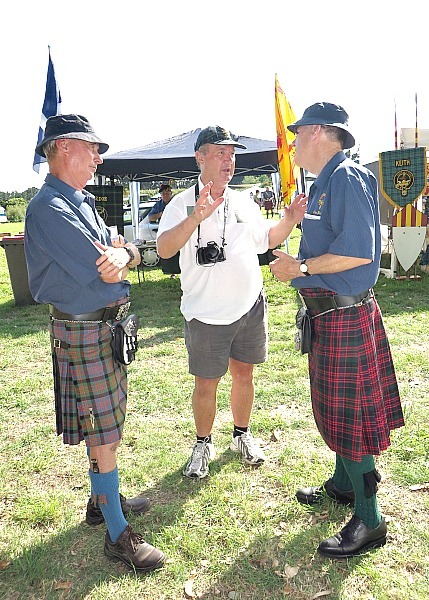 This is an important way of maintaining members interest and involvement in the clan. During the meeting, the events for the rest of the year was finalised and has since been published and listed under the Events section. 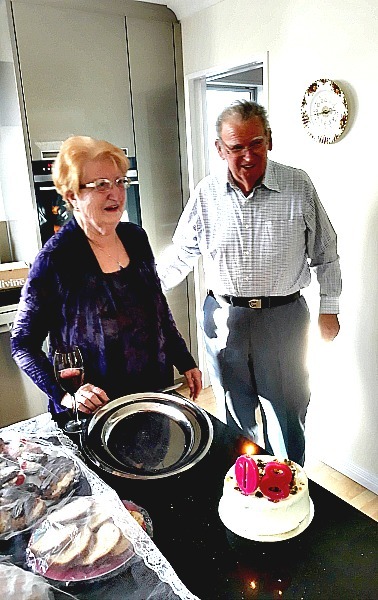 President Ann Smith congratulated long standing Clan Donald Canterbury members, Colin and Doreen MacDonald on their 70th wedding anniversary which they had celebrated the day before with a lunch put on by their family. They are foundation members of Clan Donald Canterbury. 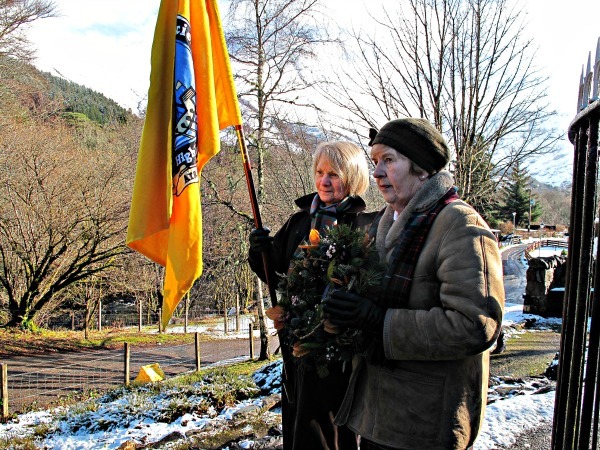 Colin and Doreen, along with Ian Donald, were instrumental in setting up Clan Donald Canterbury in 1991. Colin was president from 1994-96. Colin and Doreen have been very active members, frequently hosting events in their home and attending many events. They both attended the recent ANZAC forum including the dinner that night. 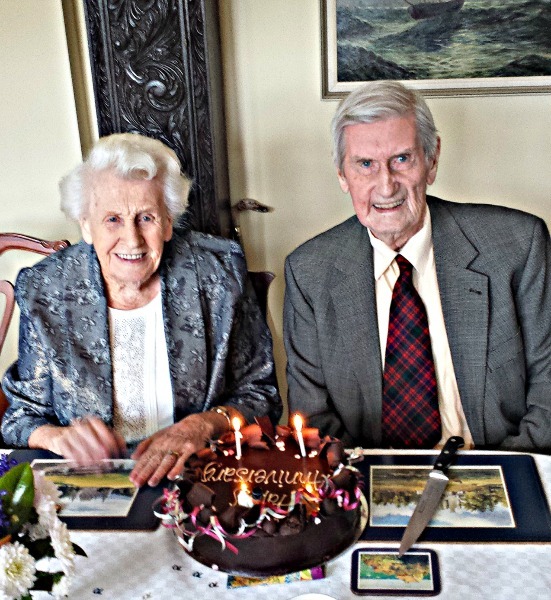 Doreen and Colin MacDonald celebrate their 70th wedding anniversary. 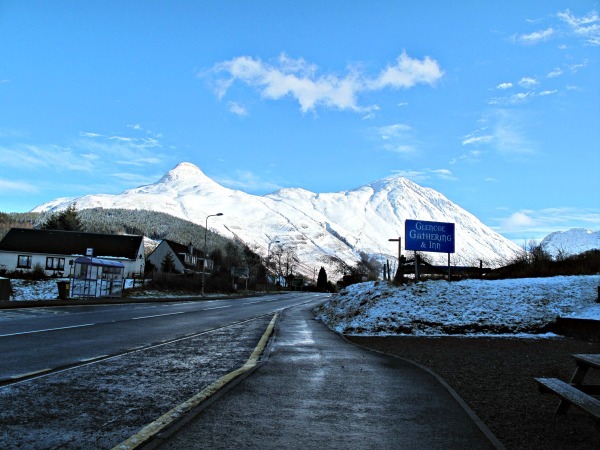 This year it was the turn of New Zealand to sponsor the Clan Donald wreath at the commemoration of the Massacre of Glencoe on 13 February 2018 held in Glencoe. The wreath was laid on our behalf by Lois MacDonell of Glengarry. 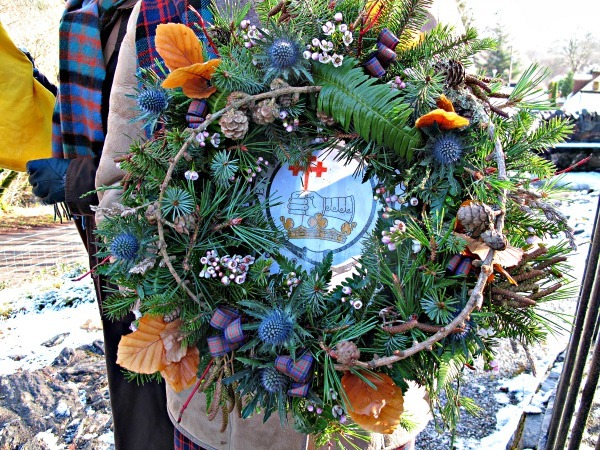 The sponsorship of the wreath is rotated each year among the following Clan Donald Societies; New Zealand, USA, Australia, Highlands and Islands, and Canada. The commemoration commenced with a service in St Mary’s Church, followed at midday with a march to the Memorial and a ceremony with wreath laying. Lunch in the Glencoe Inn followed. Alain Macdonald of the Clan Donald Society of the Highlands and Islands has kindly provided some photos taken on the day. 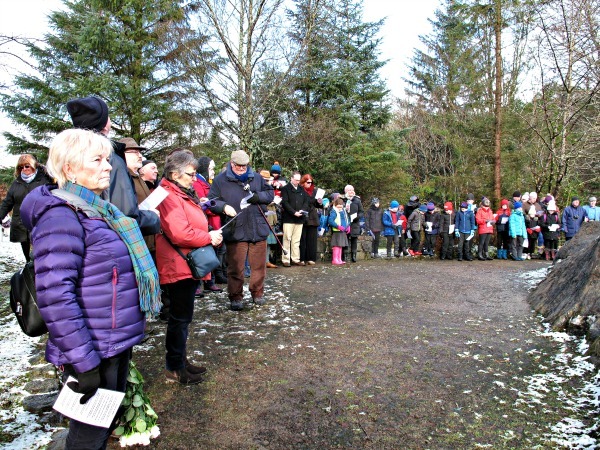 The Commemoration at the Glencoe Memorial. The Glencoe wreath sponsored by Clan Donald New Zealand. The wreath was laid on New Zealand’s behalf by Lois MacDonell of Glengarry. 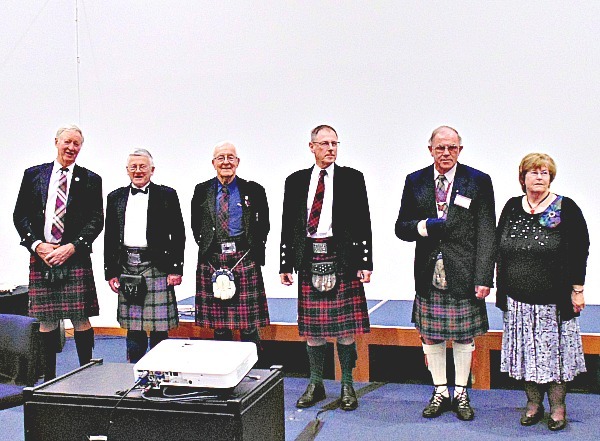 Clan Donald Canterbury held their AGM and Branch Meeting on Sunday 11th February. After meeting for many years in the St Albans Community Centre, we have had a change of venue. Our meeting was held in the Forfar Courts Community Hall which proved to be a very satisfactory venue and will be hired for meetings this year. 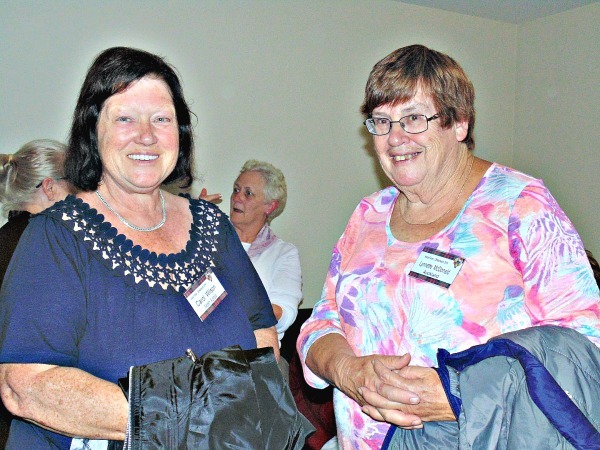 Ann Smith was elected as president and Margaret Donald was re-elected as Secretary/Treasurer. Ann takes over from Christine Martin who has served as president for 5 years. A vote of thanks was passed for Christine’s contribution as president. Irvine Kinraid has stood down from the committee after providing valuable service for many years. To commemorate the Glencoe massacre Ann Smith played the pipes and Alan MacDonald read a poem “Massacre At Glencoe” written by American poet, Randy McClave. 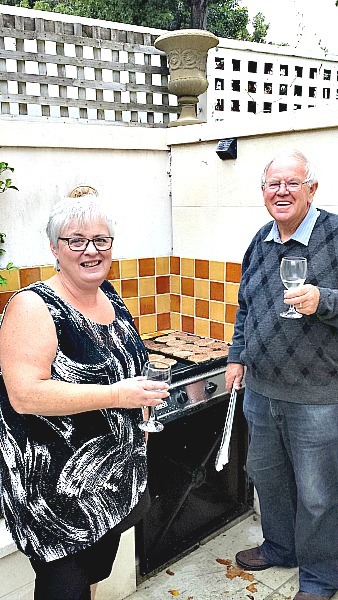 The meeting was followed by a very enjoyable barbecue at Alan MacDonald’s house. Although we were not blessed with the normal good weather we have had for this occasion in the past, we were fortunate it stopped raining late afternoon. A Little History: The first ‘Turakina Highland Games’ were held in 1864, and are New Zealand’s oldest on-land sporting event. 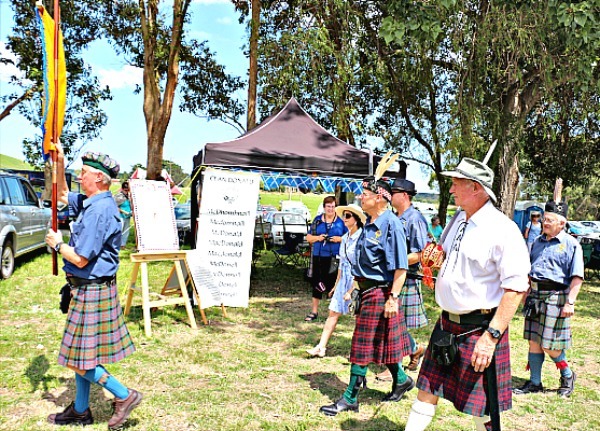 The Games were established by the Turakina Caledonian Society Inc. – Est. 1864. 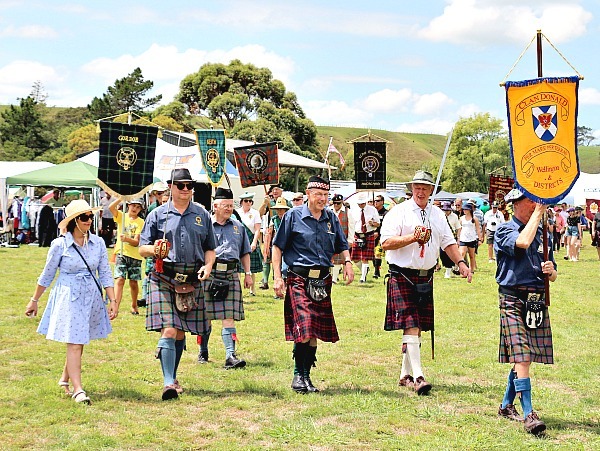 Clan Donald Wellington once again did its annual pilgrimage to Turakina, a small village in the western Rangitikei district in the southern North Island of New Zealand. A twenty-minute car ride south of Whanganui. 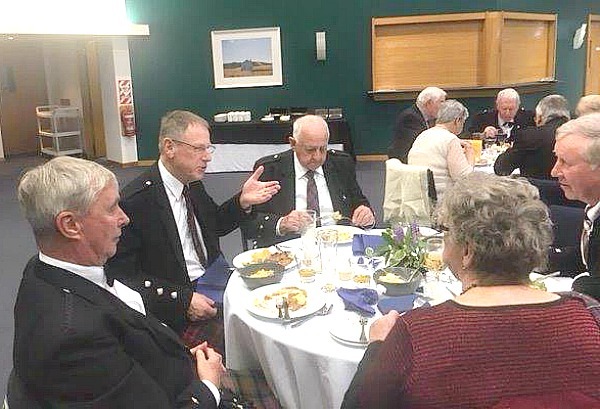 Supporting John and Patricia McKechnie, Vice President and Secretary Clan Donald Wellington, over the weekend were the North Island Commissioner Tom McDonald and his wife Lynnette, Vice President Clan Donald Auckland, and the New Zealand High Commissioner Alan MacDonald. 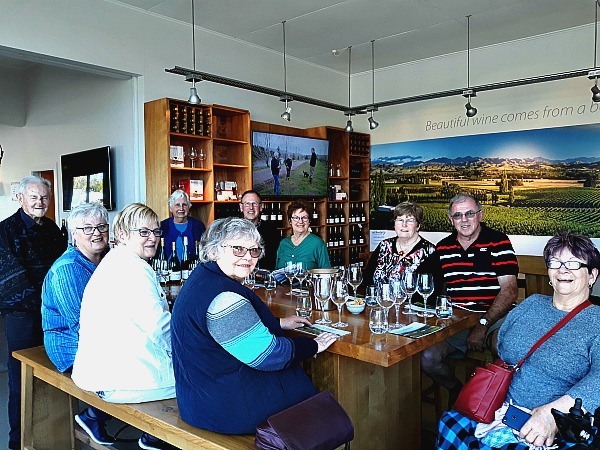 This group followed the tradition of staying at the Rutland Arms Hotel in Whanganui for a weekend of conviviality, and of course some whisky sampling. 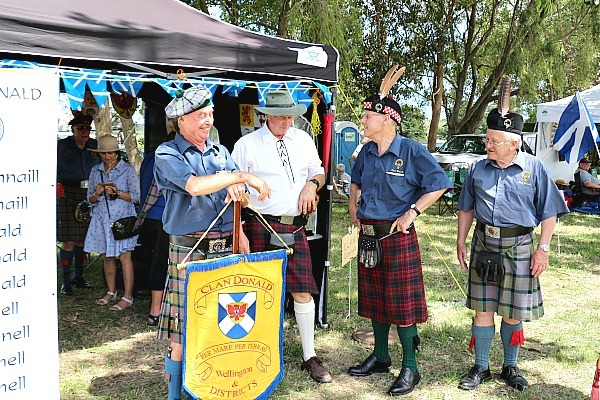 Outside the Clan Donald Wellington tent are John McKechnie Vice President Wellington, David Moore Committee Wellington, Alan MacDonald High Commissioner for New Zealand, and Tom McDonald North Island Commissioner. 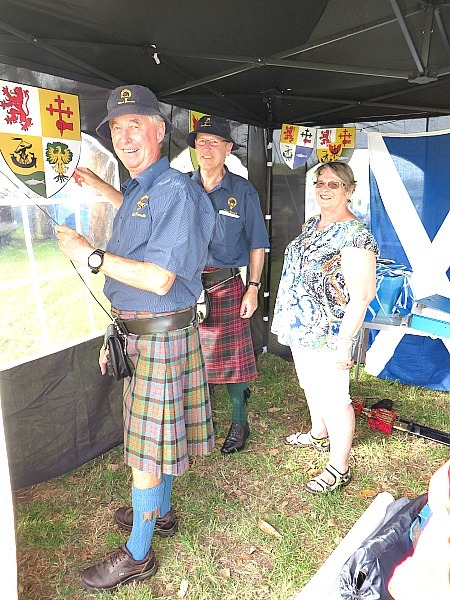 This year Clan Donald Wellington decided to add to the usual decorations in the Clan tent. 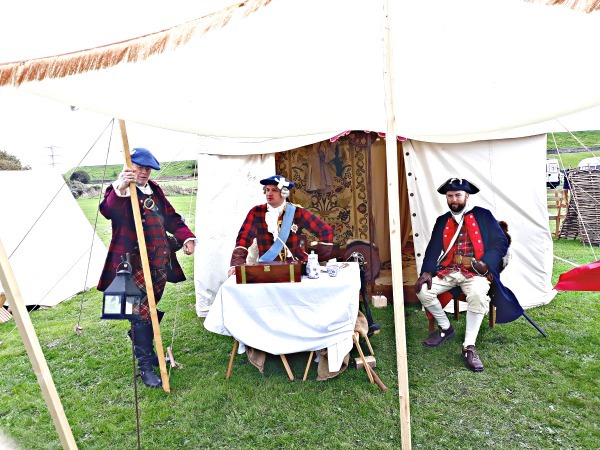 We bought Scottish flag bunting and a large Scottish flag, plus 4 large and 4 small Clan Shields, to liven up the interior and exterior of the tent. John McKechnie’s decorating skills are been supervised by Alan MacDonald and Patricia McKechnie. And of course on the day we were supported by the Clan Donald Wellington President Carl Bradley and Committee Member David Moore, plus our newest members Roger & Diana McDonald. Newest Clan Donald Wellington members Roger & Diana McDonald. 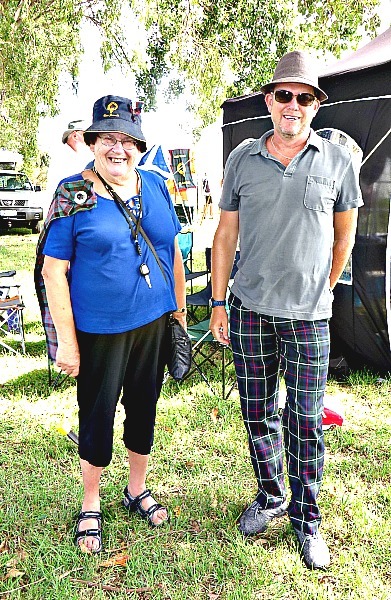 Lynnette McDonald Vice President Clan Donald Auckland and Tony Franklin-Ross from Clan Mackenzie. 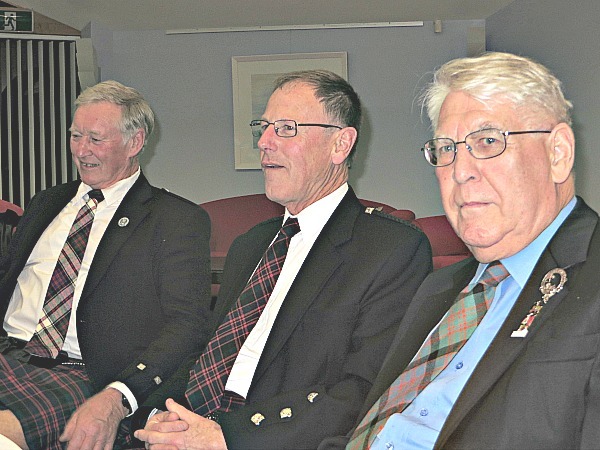 From the left John McKechnie Vice President Clan Donald Wellington, Lindsay Campbell from Clan Campbell, and Clan Donald High Commissioner Alan MacDonald. 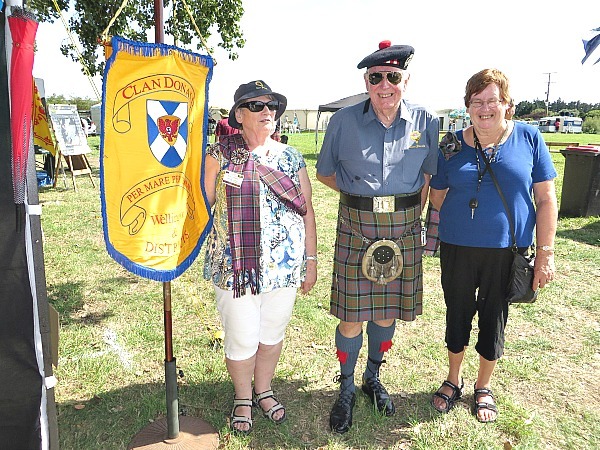 From the left Patricia McKechnie Secretary Clan Donald Wellington, with Bruce McGechan Immediate Past President Clan Donald Auckland, and Lynnette McDonald Vice President Clan Donald Auckland. At lunchtime we took part in the Clans March. The Clan Donald Wellington Colour Party. Banner Bearer John McKechnie, Aida Tavassoli, High Commissioner Alan MacDonald, Carl Bradley President Clan Donald Wellington, David Moore and North Island Commissioner Tom McDonald. Colour Party. Aida Tavassoli, Carl Bradley, Tom McDonald, Alan MacDonald, David Moore and John McKechnie.